Defined, "ashlar" means prepared stonework from any type of stone. Historically, ashlar blocks were often used in construction of old buildings and symbolized strength and progress. These classic elements of the past still offer a solid construction opportunity for any building today. At Ashlar Homes we believe some form of masonry – brick, stone, stucco or a combination of the three – is required for optimal strength and durability. We aim to build the strongest and most durable homes on the market so that we can deliver on a long lasting promise of quality to our customers. Whether you choose to build your home in one of the select neighborhoods where Ashlar Homes can be found or on a lot of your choice, quality of construction and customer service are guaranteed. We encourage you to visit a community or contact us for a tour of the product line. Come see what a home of great quality looks like. Discover the classic elements in a contemporary design. Your family is worth the investment of a strong and durable home by Ashlar Homes of Kansas City. Moonlight Decks specializes in deck lighting and deck building in the Overland Park, Leawood, Olathe, and general Johnson County KS area. Whether your home is crying out for attention in the form of recent storm damage repairs, the inevitable age-induced care and replacements, or a spanking new kitchen, Total Home has you covered- like a fancy new layer of lap siding. And we do it all! While we are best known for our fabulous Marvin Window installations, we also do roofing, doors, gutters, siding, painting and interior design and remodel. Basically, anything you need changed at your home, the answer is yes. So how do we keep our quality level so high? We surround ourselves with a hand-picked group of seasoned folks who are at the top of the game in their trade, and a select few ace suppliers and manufacturers who represent and make the products that your home drools over and covets. Oh, and we like tips in the form of baked goods. Just so you know up front. 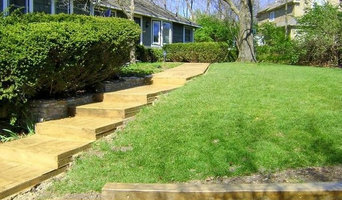 We specialize in the design and construction of the highest quality decks, screened porches, pergolas, stamped concrete and outdoor living areas in the Kansas City Metro. Owner-Operated, DW Trained & Supervised Crews, Public Showrooms, Extensive Warranty. We are a different kind of hardscape company... Dealing with us is a different kind of experience. We run a hardscape company the way our grandfathers would run it. When you call us, you talk to an owner. When you schedule an appointment, we show up, and we show up on time. We communicate with you throughout the entire process, not just during the design/sales phase. We don't have big, elaborate showrooms, brand new trucks, or a lot of overhead that some of the large hardscape companies have. What we do have is a small business run by three owners. And because we are a small company, we can charge a fair price for our services. Our owners are on-site, on every project, every single day. You can talk to us and let us know how you think it's going or let us know if you want to make a last minute change. All of us here at Kansas City Hardscapes were raised in Kansas City. This is our town. You are our neighbors. And we'd like to work for you. We are a family business... There are a total of 5 of us that work at Kansas City Hardscapes that are family, but we also consider all of our people our family. We are brothers, sisters, fathers, and friends. We take pride in our work and take pride in putting our name behind what we do. We enjoy working with our hands, working outdoors, and we love the look on a customer's face when everything is just right. We also think that you should be getting more for your money when it comes to hardscape companies. We've worked at other hardscape companies. We know how they work and the prices they are charging. We think it can be better. We can give you better. We love what we do, but still understand that family and friends are the most important things in our lives. 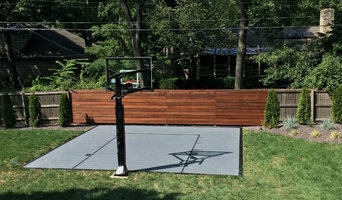 We believe that a great outdoor space can enrich the lives of your family and friends. Take back some free time with your loved ones. 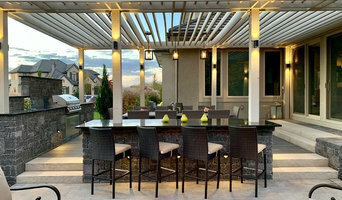 Let us build you an outdoor living space. Kick back with a cold drink, sit around a fire pit, watch the kids catch lightning bugs. Slow down. That's what we believe in and who we are. Reilly's Contracting is a full-service design and construction company offering residential and business clients custom remodels and new construction. We work in consultation with our clients to combine personal service and quality construction that creates customized live and work spaces that match each client's unique needs, tastes and desires. Our staff includes a class A licensed and insured general contractor, an interior designer and highly skilled craftsmen. 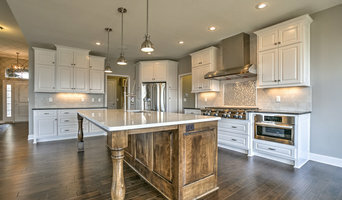 We focus on large remodel and new home construction. While we may not be the lowest bid you receive, we work hard to ensure individual service in order to complete the project exactly the way you envisioned it. Our experience and expertise applies to all types of projects: on remodel work and commercial tenant finish we can produce drawings internally, on new-construction projects we focus on the interiors and work in tandem with architectural and engineering teams. With over 20 years of experience, Inno-Hab Properties Inc. is your one-stop shop for all home improvement and remodeling projects. Specializing in innovative turn key solutions, handling every component of your project from start to finish. With a degree in engineering, years in the industry and on trend design services, we take pride in consulting on cost effective products and designs that yield a return for our clients. Call today to discuss your project!